Even though it’s a common joke that Google employees are the only ones who use Google+ (because they have to), the platform is not dead at all. But it’s not just the 540 million active users per month that can encourage you to be present on Google+: the major argument is your rankings. Google+ may not be as popular as Facebook and Twitter, but its users show almost as much engagement or more – and, most importantly, your Google+ page is the gold mine for SEO optimization. Social media activity and user engagement become important ranking factors as such, and it’s safe to say Google pays special attention to its very own social platform. Its robots are able to crawl everything you post on Google+ (unlike other social platforms), from your tagline to comments, so make sure you are giving them what they are looking for. Here are useful tips for improving your rankings with Google+. Not only is your company profile the mini landing page for Google+ users, which should provide the most important information about your business: it’s also a lot of space to use your keywords! Customize the page URL: it is not recommended to stuff it with keywords, but make sure your URL is user-friendly and easy to remember. Optimize your tagline and introduction. These are the content elements where your keywords will fit naturally. Also, keep in mind that your introduction will become a meta description for your page, displayed in search results. Add links to your website, blog, other profiles, and don’t forget to use keywords in link labels (appropriately, of course). Google is watching: what you post, how often you do it, and how much engagement your posts generate – all these are factors that will ultimately influence your search rankings. So, here’s advice to follow. Format your posts to make them more readable: most likely, you will want to drive people to your blog, but if you choose to post content right on Google+, make sure it is readable and scannable. Use visuals. They attract attention and drive engagement: stats show that most of Google+’s top performing posts use images or videos. Use CTAs. A call-to-action tells your reader what you want them to do next, and Google+ offers a variety of call-to-action labels you can use. Optimize your headline and the first paragraph of the post. Oh, and by the way – create a headline for each post. The headline and the first 40-50 characters will appear in search results, so don’t forget to add your keywords there. 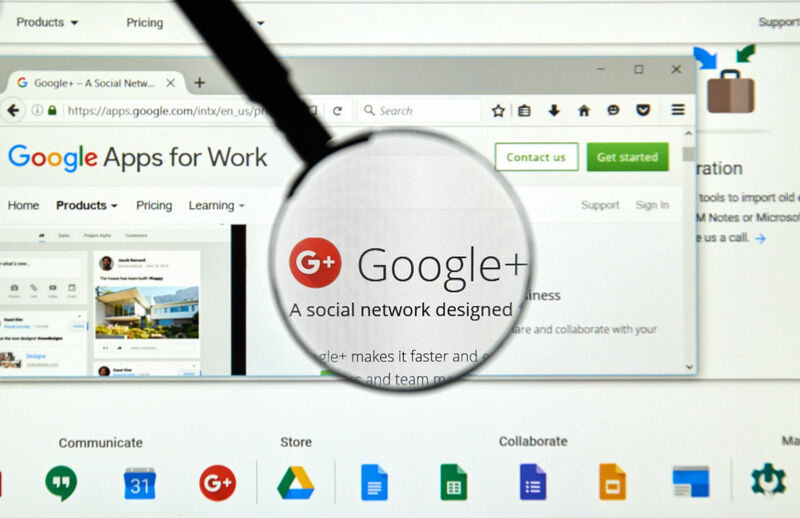 Google+ may be mocked as a wasteland of a social platform, but in fact there’s a huge audience there and the world’s most powerful search engine behind it. So why not get a little attention from both?